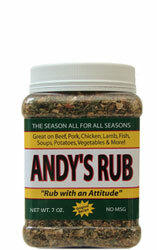 Andy’s Rub comes in three convenient sizes: big, bigger, and bonanza! 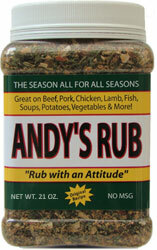 Located in the San Francisco Bay Area? 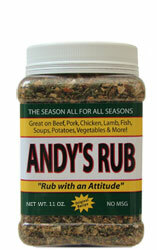 Use our Store Locator to find Andy’s Rub in a grocery store near you!